Representative Carolyn Maloney (D-N.Y.) has been fighting for credit card holders rights since she first introduced the Credit Cardholder’s Bill of rights Act of 2008 to the House of Representatives. In September, the bill passed the House with an overwhelming vote of 312 to 112, but then died in the Senate. She felt that while Senators recognized the need, other issues in the larger economy took attention from this legislation. Then in December, regulators, including the Federal Reserve, passed rules to crack down on credit issuer abuses and strengthen consumer rights. As we’ve all heard, these new rules aren’t set to go into effect until July 2010. That’s not good enough for Representative Maloney, so she introduced a revamped Bill to the House on January 15. Along with further strengthening consumers’ rights, her bill would speed implementation of the rules. If passed, the Bill would go into effect 90 days later. 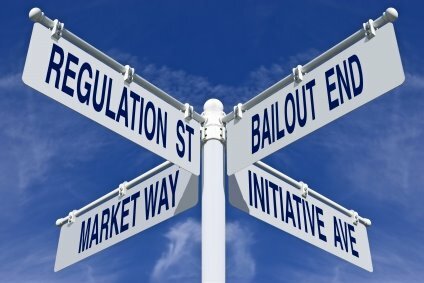 When asked why legislation was needed when regulators have already agreed to impose rules, Representative Maloney noted that regulation does not carry the force of law that legislation does. 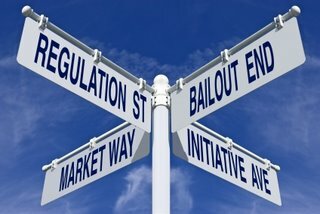 It is too easy to change regulation, whereas changing legislation is more difficult. In addition, consumer groups are concerned that the time delay granted with the regulations will be harmful to consumers. It gives credit card issuers time to re-vamp their policies and impose both higher interest rates and higher fees, while they reduce credit limits on even their most reliable customers. We’ve been reading about some of the new rules – the requirement that card issuers must notify cardholders 45 days in advance before raising interest rates, ending the practice of double-billing, preventing interest rate increases on current balances, and ensuring that cardholders receive credit card statements well in advance of due dates. In addition, Representative Maloney’s bill would prevent card issuers from granting cards to people under 18 years of age, and would allow consumers to set hard caps on their credit limits to prevent accidental over limit charges. While credit card issuers defend their actions by pointing to the worsening economy and the high rate of credit card default, there are those who believe they are partially to blame for that high rate of default. When a card holder has been making payments regularly and carrying a cushion of unused credit, he wasn’t likely to default. But when he suddenly opens a statement to find an overdraft charge because his interest rate has doubled and his credit limit lowered without his prior knowledge, his attitude and dedication to making those payments begins to change. If he’s unable to meet the new minimum payment due to the high interest rate, it deteriorates even faster. Credit card users were overjoyed and then deflated when, in December, Federal Regulators announced restrictions on deceptive and unfair practices used by the credit card industry. While the new regulations addressed most of the worst practices used by card issuers, they weren’t set to go into effect until July 2010. That left plenty of time for card issuers to lower the boom on current credit card users. When the regulations were passed, credit card companies asked for time to implement the new rules, and congress complied. Now, perhaps as a result of public outcry, a bill has been introduced to congress to speed up the process. If passed by both the Senate and the House, the bill will then go to the President. New regulations would take effect 90 days after receiving the President’s signature. Among the measures covered by this legislation the bill will obligate credit providers to give customers 45 days’ notice for rate increases and would prohibit them from raising rates on current balances, unless the card holder payments are more than 30 days late. It will also end the practice known as double-billing, which has been costly for consumers who carry a balance on their cards. Card issuers will also be required to mail statements in a timely manner – so that card holders have time to receive the bill, pay it, and mail it back by the due date. Presently, the bill may be due the day after receipt – forcing card holders into a late-payment situation. Meanwhile, credit card holders should watch their statements carefully – and open them the day they arrive. Check for due dates, interest rates, credit lines, and minimum payments. Don’t assume that things are the same as they were on the previous statement, because until this legislation becomes law, card issuers don’t have to give you fair warning. In addition, be sure to read every correspondence from your card issuer, and if you plan to make a large purchase with your credit card, go to the website and check your available balance before leaving home. Just because you had $5,000 available on your most recent statement doesn’t mean it is still available. You are currently browsing the archives for the credit card regulation category.